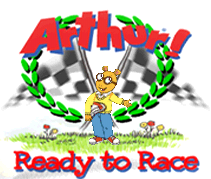 If you grew up in the late 90’s you almost certainly encountered Arthur, or at least its merchandise. I wouldn’t say it was massively popular but without question PBS pushed hard, and it showed. 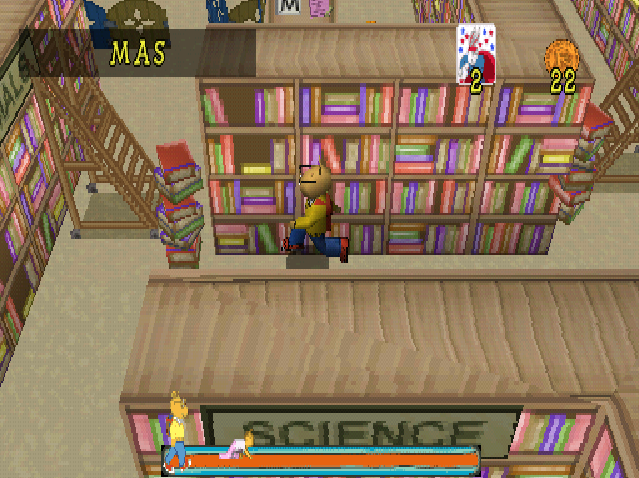 With Arthur toys abound, it was only a matter of time before video games were published. 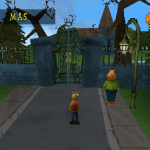 Today we’ll be looking at Arthur! 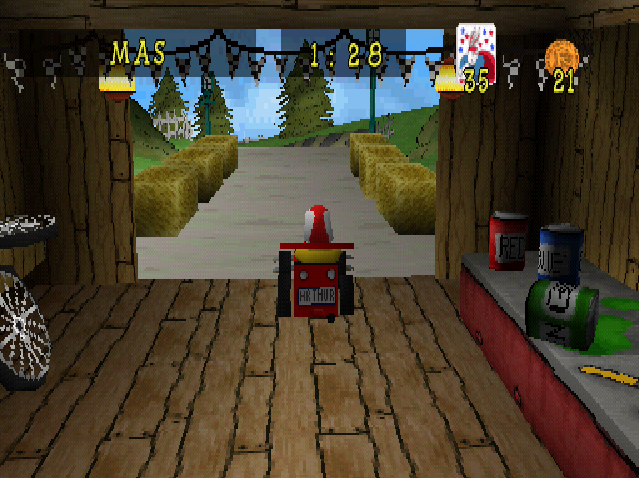 Ready to Race, released in 2000 for the Sony Playstation. Arthur! 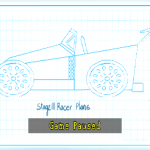 Ready to Race is an overly simplistic game aimed directly at kids. 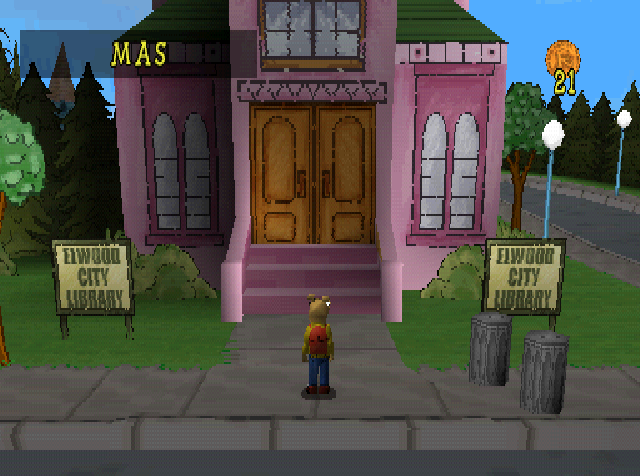 The game takes place in an impressively rendered 3D version of Elwood City. 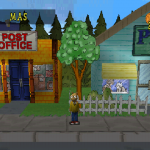 Even though it’s just a small block of town, the way it’s laid out reminds me of River City Ransom’s town portions. Other than missions and interiors this is where you’ll spend most of your short time in the game. 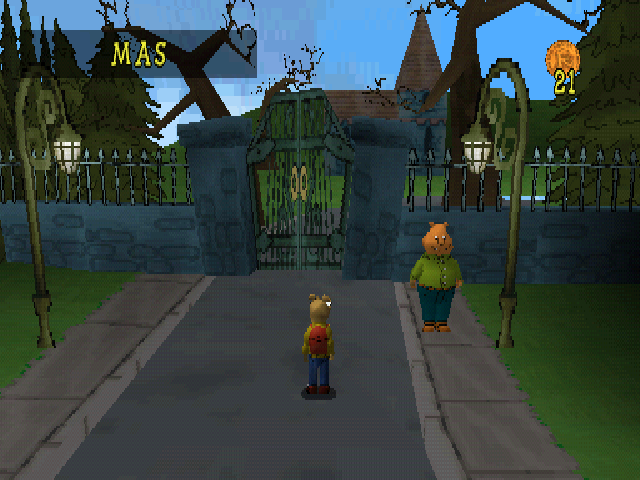 Players take control of the title character throughout a meager two levels of game play. 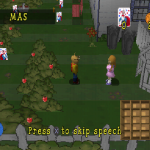 Within each level there are only four missions where you’ll be tasked with collecting tomatoes for Muffy, walking through a cemetery to collect something Binky has misplaced, chasing your dog Pal and finding your baby sister Kate in the library. Upon completion of these missions Arthur is given parts to help build his dream soap box derby car. 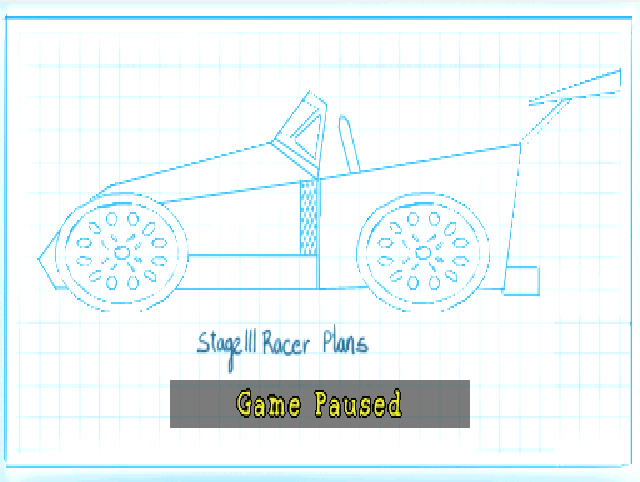 Once all of the parts have been collected you will take part in a race with the newly built car, after which you’ll redo all four missions and build a slightly more impressive car. Building Arthur’s soap box derby car isn’t the only thing you can do, but it’s really the only goal that matters to complete the game. 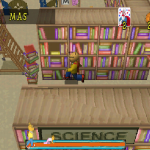 To needlessly flesh out missions you can also collect Bionic Bunny cards, coins to purchase a handful of additional (useless) parts for the derby car or CDs you can listen to in the candy shop. 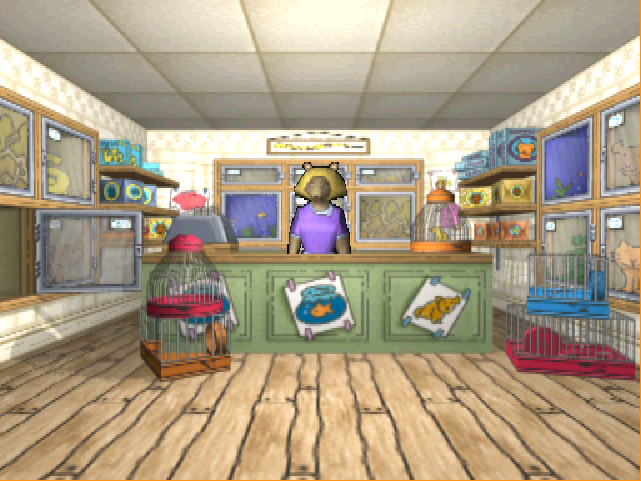 Also strewn about Elwood City you may run across lost pets and parcels to return to the pet shop and post office for a small coin reward. To be honest I wasn’t expecting much from this game, but even so I still felt underwhelmed with how easy everything is. The only button’s you’ll be using are the D-pad and X (and circle of you buy the horn), unless you want to check the progress of your car, in which case you can press Start and the pause screen turns into a blueprint of what parts you currently have. 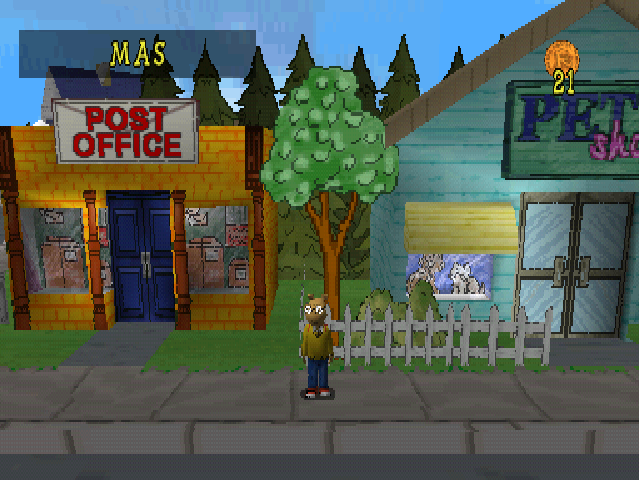 Speaking of screens this game has a ton of loading screens, and I do mean tons. Loading times don’t take very long but almost everything has to be loaded in and that requires yet another loading screen. I never found any of the missions to be overly complicated, rather they added arbitrary distractions in the form of collectables to throw you off a bit from the main goal. 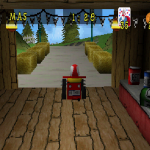 Even so you can do the missions as many times as you want, even if you’ve already completed them, if nothing more than to just collect coins to buy the aforementioned useless parts for your derby car or to go back and collect the other meaningless Bionic Bunny cards you may have missed. 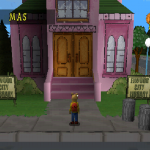 The 3D environment looks really nice, as do the 3D rendered characters, especially considering this was the original Playstation. Somehow they managed to rendered round objects in this game and it still looks very impressive to me. 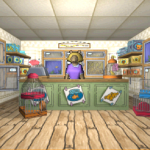 Some of the interiors, such as the Pet shop and Post office are all prerendered and look absolutely dreadful compared to the free roaming sections. It seems as though the animated series voice actors did the voices for the game as well, which I’m sure a fan of that era of the show would be pleasantly surprised. 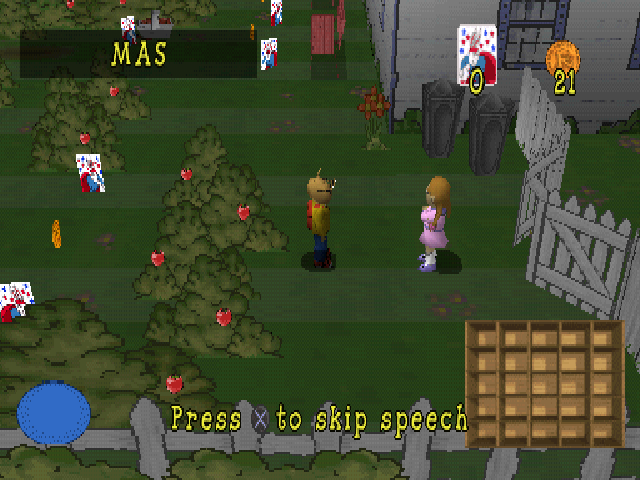 Throughout the game I found it a bit off putting that Arthur had to explain everything to me and that everything was overly simple. The only time I found even a little resistance was collecting tomatoes for Muffy, and that was only because some tomatoes simply wouldn’t allow themselves to be plucked from their vines. For such a simple game you would think that this bug wouldn’t be present in the release, but it is and it’s only slightly annoying. I wouldn’t say I hated the game, it’s just this game wasn’t aimed at a grumpy 35 year old man like myself.